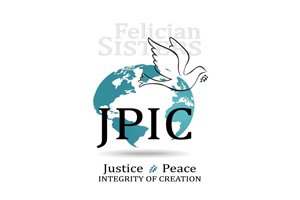 On March 19, 2019, representatives from the Felician-sponsored ministries in New Jersey, Pennsylvania, Wisconsin, South Carolina, Illinois, California, Michigan, New York, and Connecticut gathered in Rome, Italy, to begin a pilgrimage through several sites of significance to the heritage of the Felician Sisters. 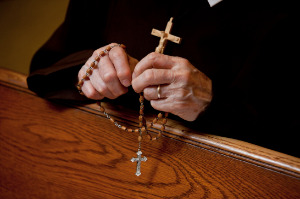 Their journey included lectures, tours, and opportunities to walk in the footsteps of Saints Francis of Assisi, Clare, and Felix of Cantalice, all of whom had a profound impact on the spirituality of Blessed Mary Angela Truszkowska, Foundress of the Felician Sisters. The journey began in Rome where the pilgrims participated in a Papal Audience, during which Pope Francis shared his Catechesis on the Our Father. 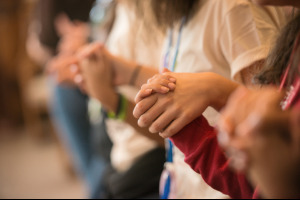 Focusing particularly on the phrase, “Your will be done,” His Holiness said, "The Lord's Prayer is a prayer that ignites in us the same love of Jesus for the will of the Father, a flame that drives us to transform the world with love." Afterward, the pilgrims received a warm welcome from the Felician Sisters at the Generalate. Sister Mary Anita Rygula from the Przemyśl province, who serves as the historian for the Generalate, shared a presentation on Blessed Mary Angela that examined her life, including her education, upbringing in the turmoil of Poland's political situation, and collaboration with lay people. Sister Anita also thanked the pilgrims for answering the call of God and Blessed Mary Angela to serve the Felician-sponsored ministries. The following day began with Mass at Saint Peter's Basilica at the tomb of Pope Saint John XXIII, followed by a historical tour led by Sister Susanne Marie Kush. Later, the pilgrims visited the Church of the Immaculate Conception, where Saint Felix is buried. According to Paul Lipowski, Senior Vice President of Mission Integration at Felician Services, the first few days in Rome helped them to see where everything fits within the context of the Roman Catholic Church. The pilgrims then made their way to Assisi by way of Cantalice, where Saint Felix lived. Once in Assisi, the pilgrims learned about the call Saint Francis received to “Rebuild my Church,” and spent time in all of the churches that he repaired. At San Damiano, they saw the first home of the Order of Poor Ladies, where Saint Clare lived with her sisters. Sister Suzanne led a tour of the Cathedral of San Rufino, which has the distinction of housing the baptismal font where Saints Francis and Clare were baptized. Those in attendance had the opportunity to bless themselves with the water from the font. The pilgrims spent time in worship, prayer, and reflection in many of the sites frequented by Saints Francis and Clare and their followers, including: the Porziuncola, which is situated inside the larger, more ornate Santa Maria Degli Angeli; La Verna, where Saint Francis received the Stigmata; the Carceri, where Saint Francis and the brothers prayed in caves and spent time in solitude; the Basilica of Saint Francis, where Saint Francis and several of his first followers are buried; and the Basilica of Santa Chiara, home of the San Damiano Cross before which Saint Francis was praying when he received his call from God. 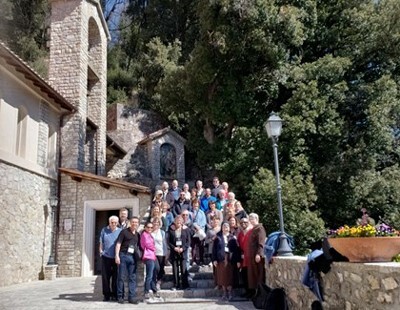 Overall, the pilgrimage provided ample opportunities for the ministry leaders to reflect on the heritage of the Felician Sisters and to draw connections from their experiences in ministry to the leadership styles of Blessed Mary Angela and Saints Felix, Francis, and Clare.